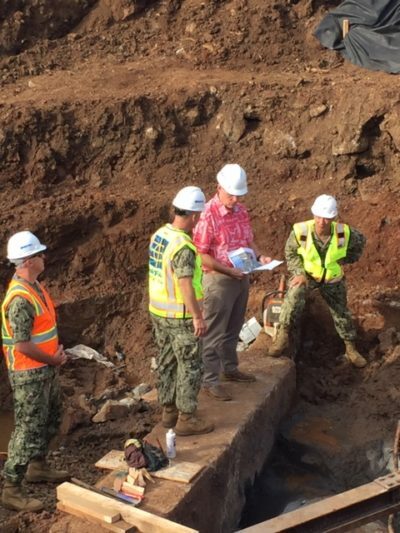 The post Ed Case: Some PAC Money Is OK As Long As He Knows Where It’s Coming From appeared first on Honolulu Civil Beat. WASHINGTON — Hawaii Congressman Ed Case is a sugar man. It runs through his blood. Case’s grandfather and uncle both worked in the Aloha State’s once-dominant sugar industry. While Case himself never took part in the business directly, he still considers it a part of his island identity. When he first moved to Washington in the mid-1970s to work as a legislative aide to then-U.S. Rep. Spark Matsunaga Hawaii’s sugarcane was still a top priority. Now, more than four decades later, it still is despite the fact that sugar shut down in 2016 when Hawaiian Commercial & Sugar closed its last mill on Maui. The Hawaiian Commercial & Sugar mill on Maui closed in 2016, marking the end of an era in Hawaii agriculture. The nation’s sugar interests look to Case as their advocate in Congress. That was no more clear than in the first quarter of 2019 when the congressman reported receiving $15,500 in campaign contributions from political action committees associated with the industry. The fact that Case is so open about his support from the industry can feel like an anachronism in 2019. Many of his Democratic colleagues — and particularly those running for president — boast of disavowing corporate PAC money and the influence of Washington lobbyists by refusing their campaign donations. 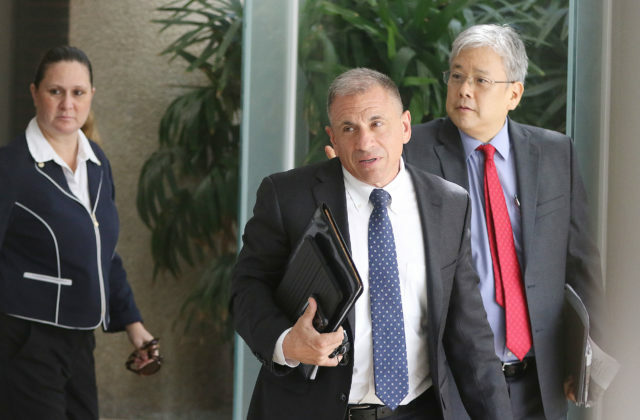 Case, meanwhile, received nearly all of his first quarter contributions from political action committees, many affiliated with major industries, such as sugar, defense, tourism and Walmart. He also accepted a donation from a lobbyist who used to work as Case’s fundraising consultant the first time he was in Congress. Case said one of the reasons his latest Federal Election Commission filing sticks out is because he wasn’t actively fundraising outside of Washington. He was too busy getting his office up and running, he said, meaning much of the money that came his way was solicited by a consultant working for his campaign or through meetings with various interest groups whose views happen to align with his own. “I completely believe in campaign finance and ethical reform, but I don’t believe that extends to no PAC money at all,” Case said. Congressman Ed Case says he carefully vets the donations that come into his campaign. The congressman is a proponent of H.R. 1, the first bill introduced by the new Democratic House majority that seeks to fight corruption in government and limit the power of money in politics through increased transparency and oversight. Patrick Burgwinkle of End Citizens United says that while his organization encourages candidates to renounce corporate PAC money there are other avenues available for taking money out of the system. “One way leaders can send a powerful message to voters about whose interests they will represent in Washington is to reject corporate PAC money,” Burgwinkle said. Case doesn’t subscribe to the perception that just because you accept money from someone — whether it’s an individual or a PAC — you’re automatically beholden to them. He said his campaign is discerning when it comes to taking money. For instance, he said he won’t take contributions from organizations such as the National Rifle Association or any businesses associated with large pharmaceutical companies. He also won’t take money from groups that do not disclose where their money is coming from. In essence, that’s his pledge against dark money. “I’m celebrating my 25th year since I first ran for office in 1994 and I have received contributions throughout that period from a great variety of individuals and businesses and PACs, and I think my record of making my own decisions is pretty straight forward,” Case said. For the most part, Case said he knows who’s giving money to his campaign, and when it came to the PACs who donated to him in the first quarter he had conversations with most of them. U.S. Rep. Tulsi Gabbard, who’s running for president, was an early adopter of the pledge to renounce PAC money. Unsolicited donations, of course, do raise red flags, he said, but that doesn’t always mean he’ll give the money back. 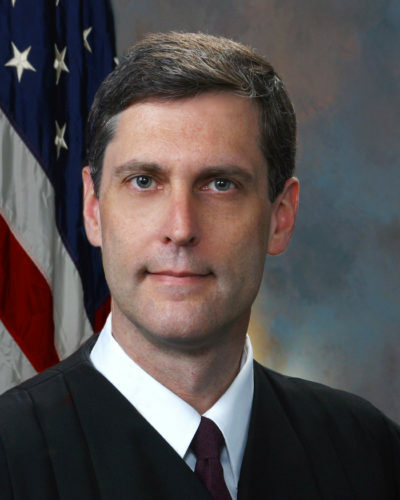 Case’s campaign received $2,000 from two PACs affiliated with American Indian tribes, the Chickasaw Nation and the Poarch Band of Creek Indians. The congressman said that money came to him unexpectedly but not unsurprisingly. 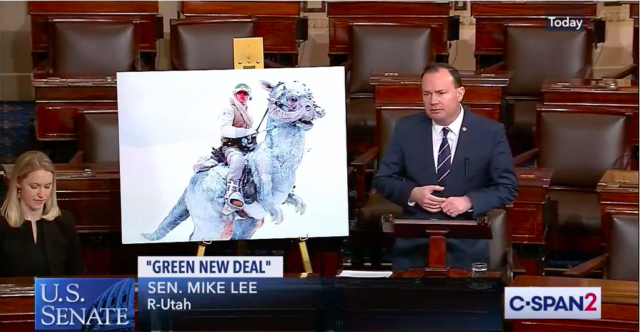 Although he hadn’t had any conversations with members of the tribes, he does sit on the House Natural Resources Committee and is a member of the subcommittee on indigenous people. 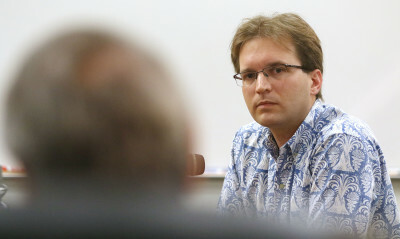 As someone who represents Native Hawaiians — who are also an indigenous group within the U.S. — the motivation behind the donations seemed to align with Case’s own interests, which meant he was OK hanging on to the money. Such perspective means Case has no plans to join his Democratic colleagues who make a big deal out of disavowing PAC money and blocking donations from lobbyists. Case declined to name any specific politicians, but in the presidential field alone there are several Democratic candidates who have backed away from corporate PACs despite accepting the money from them in the past. The post Poll: David Ige One Of Least Popular Governors In US appeared first on Honolulu Civil Beat. 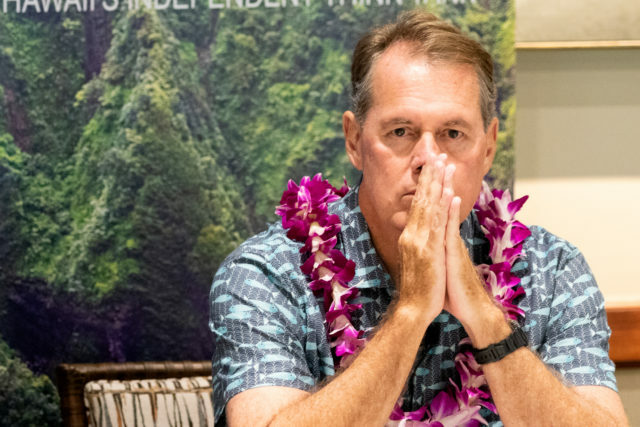 WASHINGTON — Morning Consult just released its first quarterly approval ratings of 2019 for U.S. governors and, well, it doesn’t look good for Hawaii Gov. David Ige. According to the poll, which surveys 5,000 registered voters across the country, Ige is one of the least popular governors in the country with an approval rating of 47% and a disapproval rating of 36%. While that’s enough to put Ige in the bottom 10 it’s not enough to beat out Kentucky Gov. Matt Biven, a Republican, whose approval rating was 33% to 52% disapproval. Still, Ige’s approval rating this quarter is an improvement from last year when he reached peak unpopularity after a false missile alert that sent shivers of fear throughout the islands. At that time Ige’s approval rating was a whole 10 points lower to 37% while his disapproval was 49%. Hawaii Sen. Brian Schatz, on the other hand, received some good news from the Morning Consult poll. His approval rating of 52% combined with a low disapproval of 25% put him in the top 10 among his peers. Bernie Sanders, the Vermont senator who’s running for president in 2020, was the poll’s most popular senator with 62% approval to 32% disapproval. Hawaii Sen. Mazie Hirono’s approval rating, meanwhile, dipped below 50% for the first time since 2017. 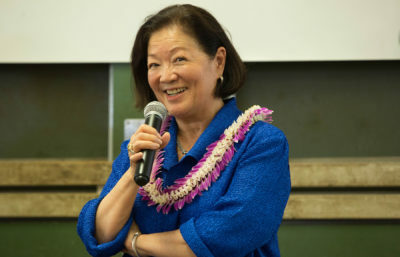 The poll showed that 47% percent of registered voters approved of the job Hirono was doing while 34% disapproved. The post Indian Americans Are Big Donors To Gabbard Campaign appeared first on Honolulu Civil Beat. WASHINGTON — U.S. Rep. Tulsi Gabbard might not be able to compete in the money department with well-known presidential candidates such as Bernie Sanders and Kamala Harris, but she does lead the pack in at least one category — donations from Indian Americans. 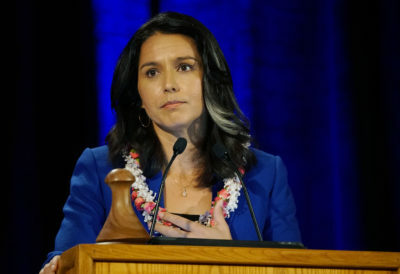 A recent analysis of Federal Election Commission filings by AAPI Data found that Gabbard raised $237,300 from Indian Americans in the first quarter of 2019. That was more than any other declared Democratic presidential candidate who filed an FEC report by last week’s April 15 deadline. 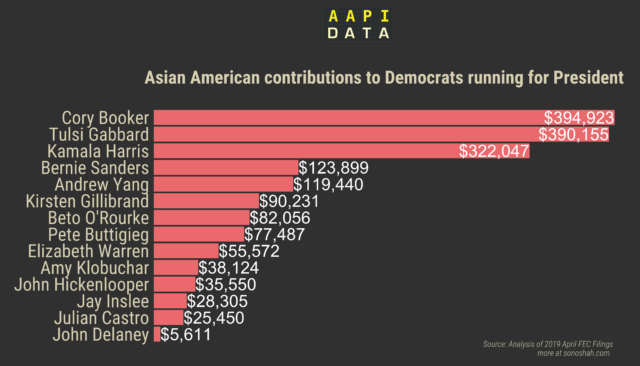 Cory Booker, the U.S. senator from New Jersey, came in second with $131,318 from Indian American donors, according to the AAPI Data analysis. Hawaii Rep. Tulsi Gabbard pulls in a lot of campaign donations from the Indian American community. 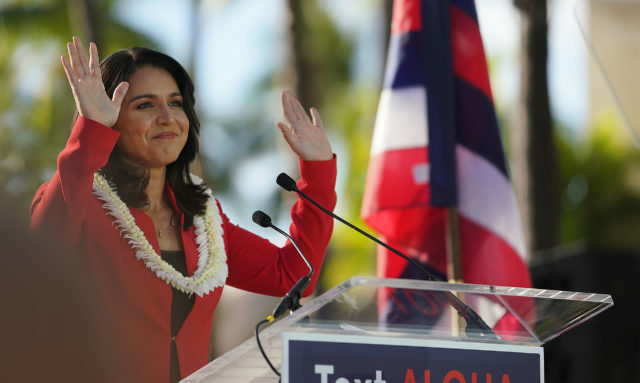 “What stood out to me quite a bit was that 44% of all the money Indian Americans gave went to Tulsi Gabbard, which is quite a bit,” said Sono Shah, researcher at AAPI Data who crunched the numbers. For instance, only 26 percent of Chinese donors gave their money to Andrew Yang, who received nearly 80 percent of his Asian contributions from Chinese Americans. Many of the other candidates, particularly the major ones, had a more diverse distribution. AAPI Data — a demographic research project focused on Asian Americans and Pacific Islanders — found that both Gabbard and Booker did well with Asians in general. The analysis found that Booker received $394,923 from Asians while Gabbard took in $390,155, which was enough to rank them No. 1 and No. 2, respectively, among the 14 Democratic presidential candidates included in the study. Shah warned that the statistical analysis, however, is not comprehensive and should be looked at as an estimate. Shah used an ethnic surname methodology that’s often used in health and political science research. The Consumer Finance Protection Bureau also uses a similar method to enforce fair lending laws. The methodology does have its shortcomings, particularly when it comes to interracial marriages that result in name changes. Another caveat in the data comes from FEC rules that only require candidates to disclose the names of donors who give $200 or more to an individual’s campaign. For Gabbard, that meant the analysis included less than $900,000 of the nearly $1.9 million she raised during the first quarter of 2019. Of the nearly $390,155 Gabbard pulled in from Asian donors, nearly 60 percent came from the Indian American community, and mostly from donors living in California. By comparison, California Sen. Kamala Harris, who’s part Indian, raised $322,047 from Asian Americans, with only 22 percent coming from the Indian community. Gabbard was the first Hindu elected to Congress in 2013. And while she’s not of Indian descent — she’s Samoan American — her ascendance to federal office resonated in the Indian community, both in the U.S. and abroad. She took her oath of office on the Bhagavad Gita, and then gave it as a gift to India’s Prime Minister Narendra Modi, a political strongman she’s defended and supported. Gabbard’s fondness for Modi has not come without controversy, particularly as her campaign has benefitted from financial support of right-wing Hindu nationalists who some worry foment bigotry and violence against Muslims. 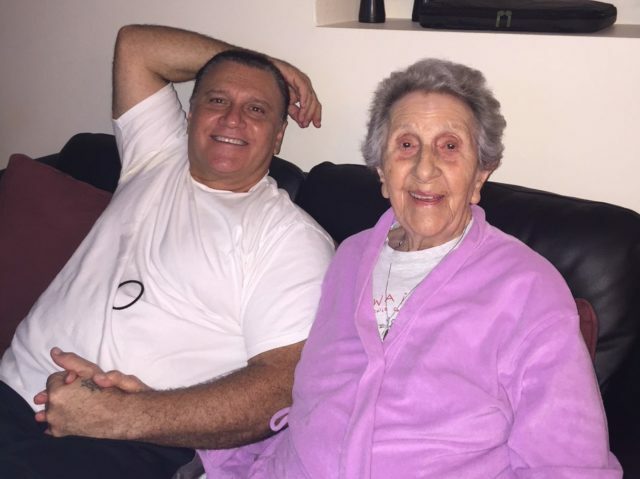 The post Katherine Kealoha’s Grandmother, 99, Finally Gets To Tell Her Story appeared first on Honolulu Civil Beat. It looks like 99-year-old Florence Puana will finally get the chance to testify against her own granddaughter Katherine Kealoha. 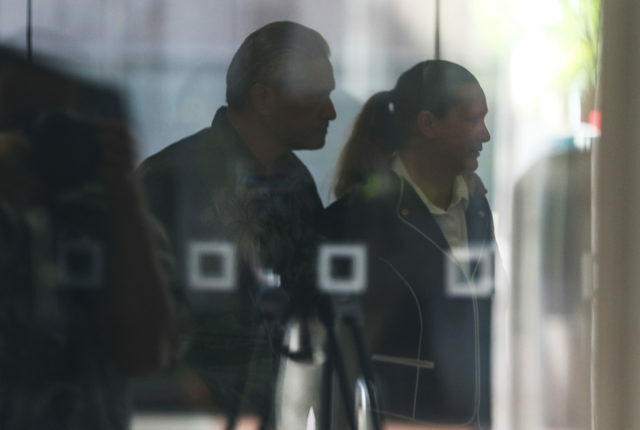 Puana is scheduled for a deposition April 30 with federal prosecutors who have charged Kealoha with a series of crimes, some of which she’s accused of perpetrating against Puana and her son, Gerard, who is Kealoha’s uncle. The elder Puana recently fell ill and prosecutors said they wanted to memorialize her testimony in case she wasn’t available for Kealoha’s trial, which is scheduled to start next month. Katherine Kealoha, a former deputy prosecutor for Honolulu, is accused by the U.S. Justice Department of framing Gerard Puana for the theft of her mailbox. 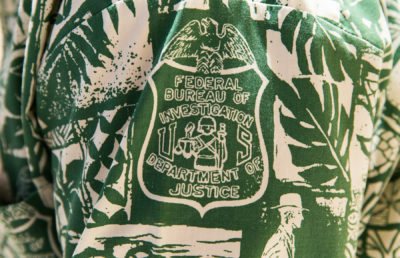 She allegedly enlisted the help of her husband, former Honolulu police chief Louis Kealoha and several of his officers — who also have been criminally charged — to help carry out the conspiracy. 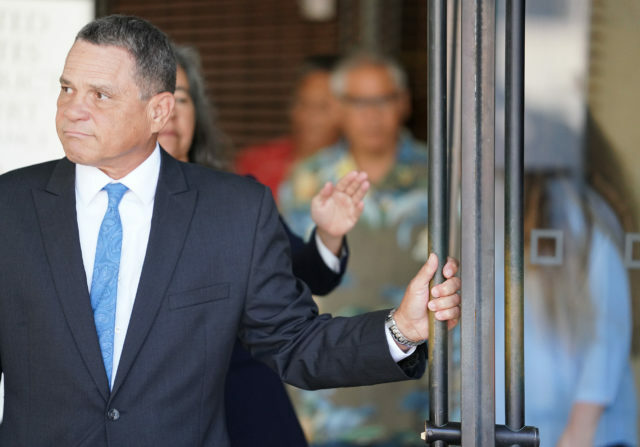 According to the feds, the Kealohas wanted to silence Gerard Puana for filing a lawsuit against Katherine several months before the alleged mailbox theft that accused her of stealing hundreds of thousands of dollars from him and his mother. 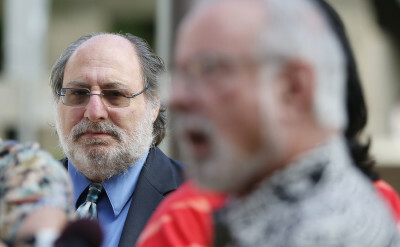 The family spat has since led federal investigators to one of the largest public corruption scandals in Hawaii history. In addition to the Kealohas, other public officials are the target of the Justice Department’s federal investigation, including Honolulu Prosecuting Attorney Keith Kanehsiro and Corporation Counsel Donna Leong, who is a top-level appointee in Mayor Kirk Caldwell’s cabinet. The post Crypto Investor Tulsi Gabbard Backs Bill To Block SEC Oversight Of Crypto appeared first on Honolulu Civil Beat. 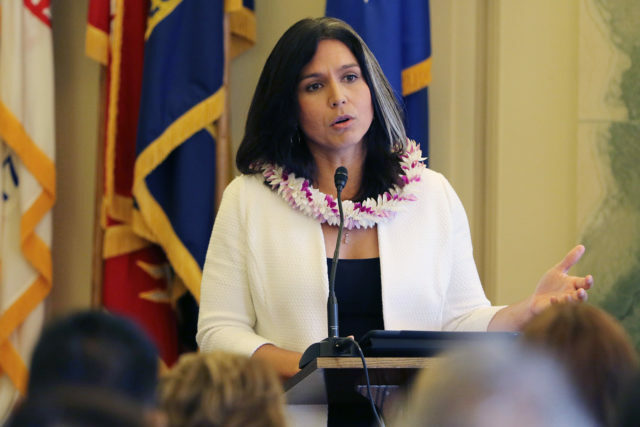 WASHINGTON — Perhaps U.S. Rep. Tulsi Gabbard is trying to protect her investment. The Hawaii congresswoman — who’s in the midst of a long-shot bid for president — signed on to legislation this month that would effectively block U.S. Securities and Exchange Commission oversight of cryptocurrency. Gabbard of course made headlines in 2018 when she revealed in her financial disclosure filed with the House that she had purchased shares in both Litecoin and Ethereum, two blockchain currencies similar to Bitcoin. Unfortunately for Gabbard, her purchases of the two cryptocurrencies — each ranging from $1,001 and $15,000 — came at the height of the market and plummeted shortly thereafter. Hawaii Congresswoman Tulsi Gabbard invested in cryptocurrency at exactly the wrong time. According to Roll Call, the bill Gabbard endorsed is backed by the blockchain industry. But there are still some who are concerned that the lack of SEC oversight could let bad actors off the hook. The bill’s main sponsor, however, says it’s the lack of regulation that will allow the technology to thrive in the U.S. so that competitors such as China don’t dominate the market. “Without it, the U.S. is surrendering its innovation origins and ownership of the digital economy to Europe and Asia,” Republican Rep. Warren Davidson of Ohio said in a statement announcing the introduction of his Token Taxonomy Act. Gabbard’s own statement at the time was similarly optimistic. “In Hawai’i and across America, local and state leaders are looking at the potential for blockchain technology to create and expand economic opportunity,” Gabbard said. Gabbard’s stake is more than personal. It’s a new part of her day job, at least when she’s not too busy traveling the country and running for president. This year after Democrats reclaimed control of the House she was re-appointed from the Foreign Relations Committee to Financial Services, which is led by U.S. Rep. Maxine Waters of California. That means Gabbard will be involved in more oversight of the banking industry in general and — with Waters as chair — investigations into President Donald Trump’s own financial dealings. In February, the congresswoman even put out a call for applications so she could hire a new deputy chief of staff, one she preferred would have a strong background in communications and finance. The post Hawaii Rep. Ed Case Raised 99% Of Campaign Money From PACs appeared first on Honolulu Civil Beat. WASHINGTON — Of all the people donating to U.S. Rep. Ed Case’s 2020 congressional campaign there’s one name that sticks out. In fact, it’s the only name — Paul DiNino. 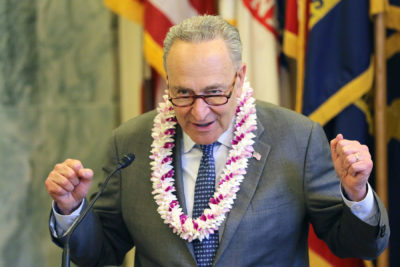 Case reported in his latest Federal Election Commission filing on Monday that he only raised $475 from individual donors during the first quarter of 2019, and that $250 of it came from DiNino, a Washington, D.C., lobbyist who used to work for retired Democratic senator Harry Reid. 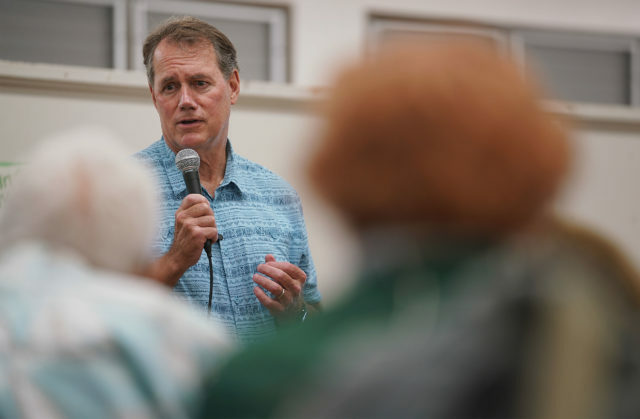 Congressman Ed Case talks to his constituents during a “Talk Story” event at Campbell High School in Honolulu. The remaining $225 came from individual donors who gave Case less than $200 each, meaning FEC rules didn’t require disclosure of their identities. Still, Case was able to raise nearly $78,000 during the first three months of the year. Almost all of that money — 99.4% — came from political action committees. In 2018, Case raised nearly $564,000 in his bid for Hawaii’s 1st Congressional District. At the time, only $74,000 came from PACs. He also loaned his campaign more than $151,000. Some of the industries donating to Case’s 2020 campaign include those affiliated with hotels and tourism, such as Marriott International, the Asian American Hotel Owners Association and Hilton Worldwide, and those with interests in sugar. Case’s top two PAC donors — which each gave $10,000 to his campaign — were the American Crystal Sugar Company PAC and the American Hotel & Lodging Association PAC. Case, who is on the House Appropriations and Natural Resources committees, is a former executive with Outrigger Enterprises, which is a top operator in Hawaii’s $18 billion tourism industry. 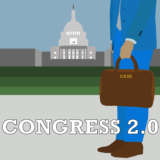 Two of Case’s Democratic House colleagues, Ted Lieu of California, and Bill Foster of Florida, gave money to the congressman’s 2020 re-election bid. So too did the Blue Dog PAC and the New Democrat Coalition. Case also received thousands of dollars from the Wine and Spirits Wholesalers of America PAC and the National Beer Wholesalers Association as well as from committees associated with defense contractors, such as General Dynamics, Honeywell International and Raytheon Company. U.S. Sen. Mazie Hirono doesn’t have to worry about another election until 2024. Other companies whose PACs are giving to Case include Walmart and Space Exploration Technologies Corp.
Case’s PAC donor list also includes the Poarch Band of Creek Indians and the Chickasaw Nation. As a congressman, Case promised to fight for the rights of Native Hawaiians. Case’s fundraising, of course, pales in comparison to his Hawaii colleague, Tulsi Gabbard, who’s putting her congressional bid on pause while she runs for president. Gabbard reported raising more than $1.9 million during the first three months of 2019. 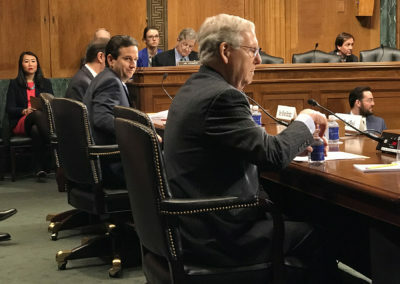 Hawaii’s senators, meanwhile, had relatively low-key fundraising quarters, according to FEC reports that were also filed Monday. Neither is up for election in 2020. U.S. Sen. Mazie Hirono, who’s become a Democratic lightning rod since President Donald Trump took office, raised just over $58,000 in the quarter. Hirono, who is 71 years old, easily secured a new six-year term in the Senate in 2018, which means she won’t be up for election until 2024, when she’ll be 77. She reported having nearly $1 million in cash left over at the end of the reporting period. 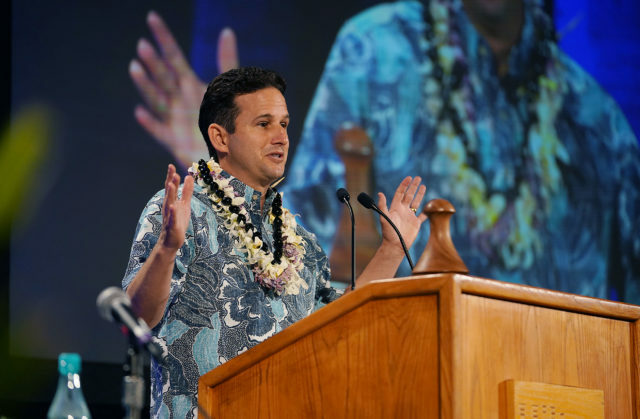 U.S. Sen. Brian Schatz’s campaign reported raising more than $33,000 in the quarter. Schatz, who isn’t up for election until 2022, has more than $2.6 million in the bank. The post Hawaii Rep. Tulsi Gabbard Raises $1.9 Million In Bid For White House appeared first on Honolulu Civil Beat. The post Coming To A Democratic Debate Stage Near You — Tulsi Gabbard appeared first on Honolulu Civil Beat. 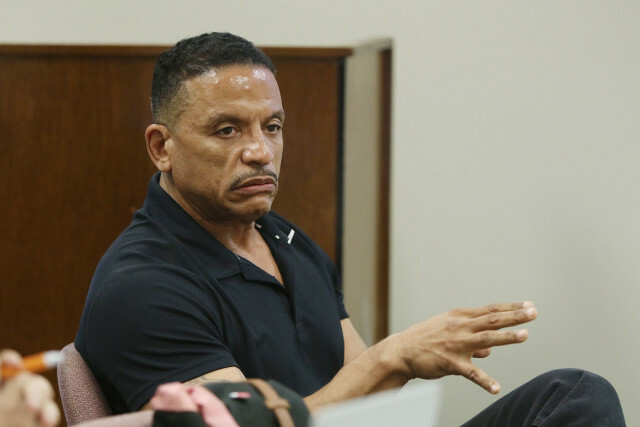 The post Honolulu Police Corruption: ‘Don’t Try To BS’ The Judge appeared first on Honolulu Civil Beat. The post Sen. Kai Kahele Says He’s Raised $250,000 To Challenge Tulsi Gabbard appeared first on Honolulu Civil Beat. WASHINGTON — State Sen. Kai Kahele’s congressional campaign announced Monday that he raised more than $250,000 in the first quarter of the year in his bid to unseat U.S. Rep. Tulsi Gabbard, who’s running for president but could also simultaneously seek re-election. 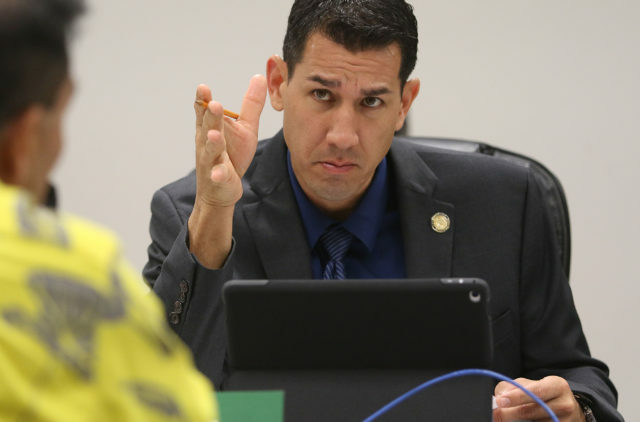 Kahele said the money came from 3,231 donors, which averages just over $77 per contribution. The press release didn’t include any details about who has donated to Kahele’s campaign or what he has spent. 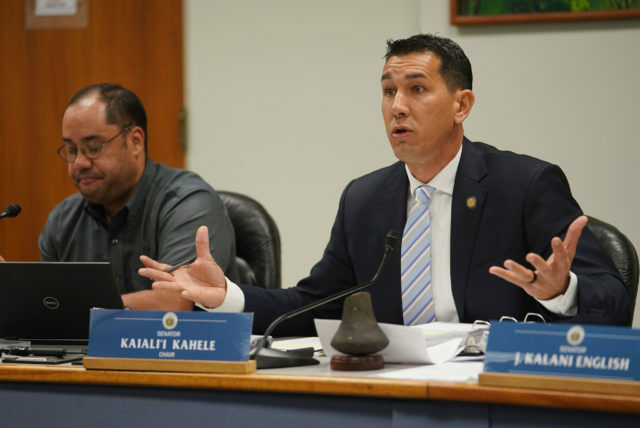 State Sen. Kai Kahele, who plans to run for Congress next year, says he raised more than $250,000 in the first quarter of 2019. The last day of the fundraising quarter was March 31 and Federal Election Commission rules give candidates until April 15 to file their paperwork. Kahele could not be reached for comment Monday, but in his press release he said he expects his campaign to develop into one of the largest grassroots fundraising efforts in the state as he seeks the 2nd Congressional District seat covering rural Oahu and the neighbor islands. The 41-year-old Kahele will likely need all the money he can get if he has any hope of unseating Gabbard, who consistently polls as one of the state’s most popular politicians. Kahele, a Hawaiian Airlines pilot and member of the Hawaii Air National Guard, has already received significant backing from several of Hawaii’s former governors, including John Waihee, Ben Cayetano and Neil Abercrombie. All three serve as honorary co-chairs of his campaign committee. Gabbard, meanwhile, is engaged in her long-shot presidential campaign. U.S. Rep. Tulsi Gabbard is running for president, but she could also run for re-election to Congress. She has not released any details about how much money she’s raised. Gabbard has been focusing on meeting the 65,000-donor threshold the Democratic National Committee said is necessary to qualify for the presidential debate stage of the primary campaign. A campaign email sent out Monday said she was 653 donors away from hitting that mark. Gabbard’s fundraising haul came in a year in which she didn’t face a significant challenge to her re-election. In fact, she has largely coasted ever since she was elected to Congress in 2012. Still, she has been able to build a large base of donors from around the country. When she kicked off her presidential campaign, she had about $2 million in her account. Erika Tsuji, a spokeswoman for Gabbard’s campaign, did not respond to Civil Beat’s request for comment about Kahele’s announcement.